Eternal Haunted Summer: How do you define your particular spiritual path? Kathy Crabbe: I’m a Witch, Pagan, Faerie Shaman — all the same thing. 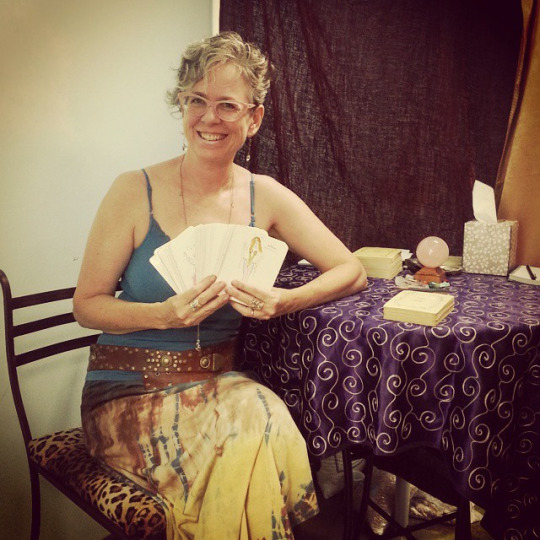 EHS: You offer a number of services, including soul readings, past life readings, and astrology reports. What led you to offer these services, and what do you find most satisfying about your work? 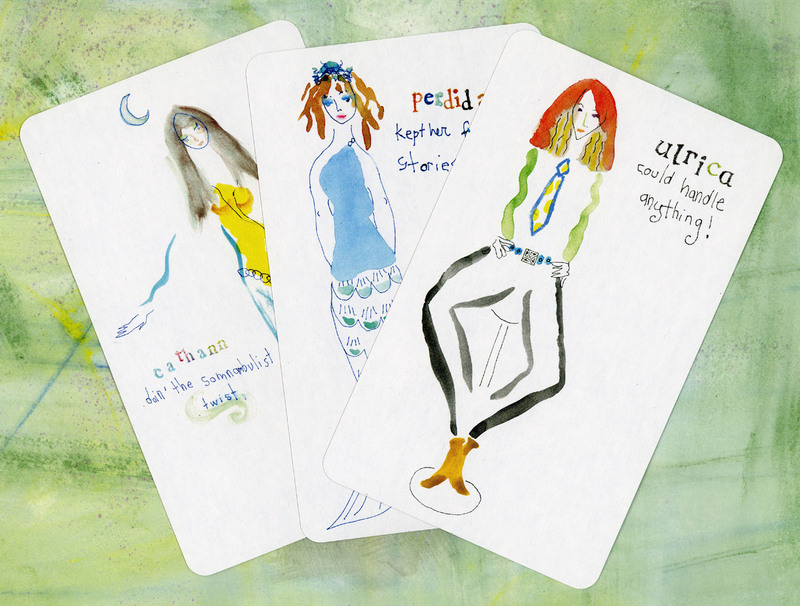 KC: I’ve been involved in dream work, astrology, and tarot since my teens. When I turned forty in 2005, it really affected me (Uranus Opposition) and I had an overwhelming need to share all that I’d learned and to delve more deeply into studying psychic reading, mediumship, and crystal healing through in-person classes. EHS: What inspired you to create the Lefty Oracle Deck? How long did it take to create the cards, and what mediums did you use? KC: I started drawing with my non-dominant left hand in 2000 when I became bored with my right hand. When I turned forty and started giving back to my community spiritually I decided to pick my favorite Leftys out of a 1000 paintings and turn them into an oracle deck. Painting with my non-dominant hand opened me up intuitively and I wanted to share that experience with others. The Leftys are painted with watercolors, pastels and technical pen on paper. The writing accompanying the Lefty Oracle cards was the hardest part. I spent over eight years trying to get it to work. Studying Celtic Faerie Shamanism with Francesca De Grandis along with putting together an exhibition of the paintings from the deck for a fifty-two week museum project forced me to make the Lefty Oracle Deck a reality. EHS: Your Zodiac Goddess Playbook re-imagines the constellations in feminine form in order to “balance out the predominantly male/god influences within society.” Which Goddesses did you include, and why Them? KC: I researched Goddess books intensively to help choose which Goddesses to include (this was pre-internet in the 90’s). I was also channeling Goddess energy to write and paint over thirty large paintings for my book while in tune with the zodiac phases of the Moon. Some of the books I researched were: God Herself: The Feminine Roots of Astrology by Geraldine Thorsten, Motherpeace Tarot by Vicki Noble and Goddesses & Heroines by Patricia Monaghan. EHS: Which conventions, festivals, fairs, et cetera are planning to attend in the foreseeable future? What about classes that you may be teaching? KC: My latest offering will be Moon Circle Leadership Certification. It is a four month program to help people start their own Moon Circles, generate income, and build a supportive community. It’s in trial mode right now and will launch at some point in 2017.